After being accused of a crime he didn’t commit, Keisuke Amazawa has no choice but to dive into the Digital World and investigate to prove his innocence. Even if that means joining a group of hackers and helping them solve the troubles threatening this mysterious universe. Digimon Story: Cyber Sleuth Hacker’s Memory was released on PS4 and PS Vita 458d ago in the US and the UK. 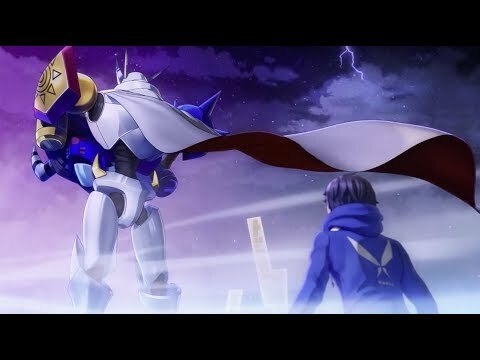 Notify me when Digimon Story: Cyber Sleuth Hacker’s Memory is available. Based on 13 Digimon Story: Cyber Sleuth Hacker’s Memory reviews, Digimon Story: Cyber Sleuth Hacker’s Memory gets an average review score of 75. It appreciates your love for the show, offering the most complete and enjoyable Digimon game to date. Although Digimon: Cyber Sleuth - Hacker's Memory is a blast to play and gives gamers a lot to do, it's essentially just more of the same.
. I think Hacker’s Memory is a very good game, but be warned that it might also be the kind of game that is exclusively for those who enjoy the Cyber Sleuth titles. I highly recommend giving Hacker’s Memory a try if you’re a fan of the Digimon universe and enjoy a good visual novel with lots of role play elements. Digimon Cyber Sleuth: Hackers Memory is a great game with a great story. All in all, Digimon Story Cyber Sleuth: Hacker’s Memory is a worthy successor. Digimon Story: Cyber Sleuth – Hacker's Memory feels like the same game from two years ago, but slightly bigger and better. It manages to improve upon the previous game, and thankfully fixes some of it's problems. Digimon Story: Cyber Sleuth – Hacker’s Memory may not be a true sequel, but the quality put into the story, combat and progression make it a worthy successor. This is more Digimon Story: Cyber Sleuth which is great but also has a lot of reused assets sadly. Digimon Story: Cyber Sleuth - Hacker’s Memory is an impressive take on the monster collecting Japanese RPG format. Hacker's Memory mostly builds upon its capable predecessor, but despite an interesting cast, some tedious content holds it back from true greatness. The game packs several “hacker” tropes that harken back to the 90s and that builds a foundation of a game that feels dated.